Greenfingers Charity's Ambassadors support our work as widely as possible and are committed to raising awareness of the work and aims of the charity. Matthew Appleby is deputy editor of Horticulture Week and author of the gardening books Allotment Planner (2013), The Children's Garden (2016, which donated money to Greenfingers) and Super Organic Gardener-How to Make a Vegan Garden (White Owl, October 2018). He is also Garden Media Guild Journalist of the Year 2017, contributes to other newspapers and magazines and is a keen allotmenteer. 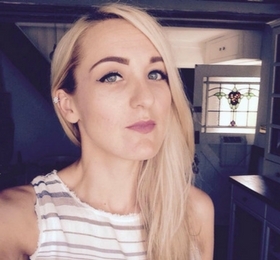 Helen Barker, has worked for Kew Green Hotels for 8 years, working within the National Sales Team. Having heard about Greenfingers through her employer, she gone on to be an active fund raiser and internal Kew Green Hotels Charity Champion. Helen has been key in taking Kew Green Hotels fundraising efforts from ‘Great to Outstanding’, something the company prides themselves in achieving. Her positive outlook on life shines through her passion for running and sheer determination of going the extra mile for charity. Someone, once said to her.. ‘’Nothing ever happens if…..Nobody does anything’’ which is so true! So, with over 65 fundraising running races under her belt in the last 18 months, any many more planned for 2018-2019 Helen is delighted to be on board. 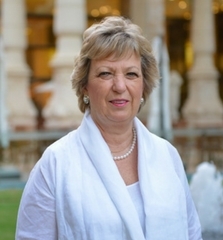 Judith is renowned worldwide for her teaching skills in flower arranging and floristry. Her flower school, which is located in a charming flower-filled mews in Knightsbridge, has been running for 13 years. It is the foremost private flower arranging and floristry school in the UK and is accredited by the British Accreditation Council. Judith herself is one of the most respected figures in the world of flowers. She is the author of 12 bestselling floristry books (including Church Flowers and The Encyclopedia of Floral Design) and editor of The Flower Arranger magazine. In 2011, she co-founded Flowers@Chicheley Hall – the biggest cut-flower event ever seen in the UK. She regularly appears on television and demonstrates at leading global floral events, including the Chelsea Flower Show. She has arranged flowers at many high-profile venues such as Kensington Palace and taught floral design to personalities including Kirstie Allsopp, Gordon Ramsay and James May. She has acted as a consultant to Topshop, BT and Channel 4. 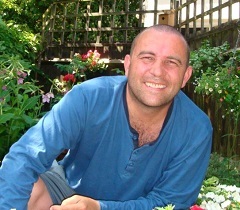 Day to day Andy is involved in plant and product purchase with a particular passion for bedding and seasonal plants. 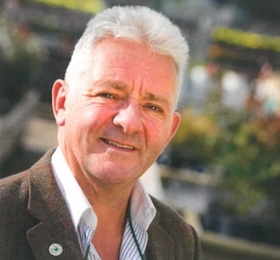 Andy jumped at the opportunity to become a Greenfingers Charity Ambassador, believing it to be a fantastic organisation in which he could make a real difference. With Little Havens Hospice only a stones throw away from his garden centre, and Alton's being one of the first to have sponsored a Greenfingers garden, Andy has a real commitment to visiting new hospice gardens whenever he can. Andy remembers taking part in one of Greenfingers Charity's various seminars that explained the role of an ambassador; in that some deliver and some come up with ideas. He considers himself the latter. Chris has an extensive horticultural CV. After training at the Royal Botanical Garden in Edinburgh, he spent time working in Africa and Japan, before returning to the UK in 1998 as Higher Botanical Horticulturalist at Kew Gardens, then as Head Gardener at Westminster Abbey. Chris also was a regular on our TV screens as the BBC Blue Peter Gardener for 9 years, during which he was involved in the challenging relocation of the garden from London to Media City in Manchester. He runs his own company which specialises in landscaping and school gardening. 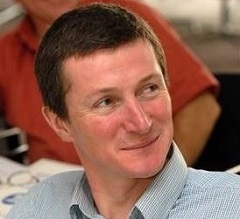 He is currently the Head of Horticulture at Garden Organic and Ambassador for National Children's Gardening Week. 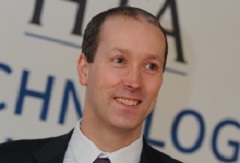 David Denny manages the HTA’s market research, information and marketing activities. 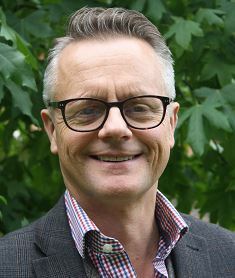 He’s been with the HTA for nearly eight years, and prior to that held a series of market research and marketing management roles in the education, technology and charity sectors. Cadix was established in 1999 by Kate and her husband, following careers at Nedan Confectionary, where the couple met. Over the last 10 years Cadix has supported Greenfingers in a variety of ways, helping to create beautiful, well-designed outdoor spaces for children to enjoy with their family, friends and siblings, whether through play and fun, or therapeutic rest and relaxation. In the last 3 years Cadix has raised £7,000 by participating in Greenfingers' annual fundraising event, Garden Re-Leaf Day, and Kate herself taking on a skydive challenge in September 2016. Neil has been Managing Director of Ferndale Garden Centre on the outskirts of Sheffield since 1982 & BBC Radio Sheffield garden expert & co-presenter of the weekly phone in every Sunday morning since 2004. Neil founded 'National Children's Gardening Week' in 2015 which takes place during the summer half term. The aim is to encourage children to garden and grow plants from a week that most plants will thrive in the UK. Neil is currently a council member of the Horticultural Trades Association representing 130 members in Yorkshire & the the North East. Neil is also a member of the HTA retail committee and sits on a various ad hoc groups discussing the future for gardening and the industry. Neil is married with two grown up children and lives in Sheffield. Bob is currently Chairman of Klondyke Garden Centres having retired from the position of Chief Executive in December 2016. He is also a Non-Executive Director at Kelkay and a Non-Executive Director of the Horticultural Trades Association. 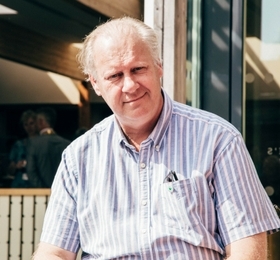 Bob has has been involved in the Garden Centre Industry since 1989 when he joined Wyevale Garden Centres from J. Sainsbury plc where he spent 10 years in retail and merchandising positions. 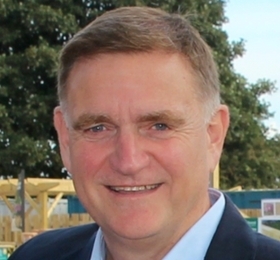 Bob became Retail Operations Director at Wyevale in 1994 and Chief Executive in 1997, a position he held for 7 years before joining The Klondyke Group in 2005. Jonathan has 30 years in Sales & Marketing, half in plastics in the building industry and the last 15 years at Rolawn in posts ranging from Regional Sales Manager to his current role as Sales and Marketing Director which he has held since 2011. As a sales and marketing professional, Rolawn's success has been built on delivering results under circumstances that require great flexibility and adaptability. To bend and not break has been a common working mantra in Jonathan's two very different industry experiences. The horticultural world has been and continues to be the most wonderfully challenging environment, where he has worked with fantastic people. Working with Greenfingers, Jonathan hopes to help put something back into the system and he looks forward to further championing the excellent work done by the charity. Kimberley Hornby is the Managing Director of Hornby Whitefoot PR, a PR agency devoted to driving brand awareness across the garden, home and lifestyle sectors. Kimberley has worked in the garden retail industry for over a decade, and working with her team represents everyone from suppliers to retailers, trade associations and key industry events such as Glee and Garden Re-Leaf. 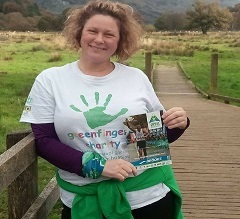 A member of the Garden Media Guild and a keen gardener, she is now proudly a Greenfingers Ambassador, dedicated to helping raise the profile of the charity and the amazing work it does every single day. As a professional marketeer, Vicky started her career in IT, moved into construction and then found her way into the garden landscaping sector working for timber supplier Forest Garden, where she stayed for over 13 years. 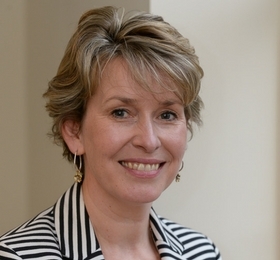 In 2014 Vicky became Director of GIMA, the Garden Industry Manufacturers’ Association, representing and supporting suppliers in their commercial endeavours within the UK. 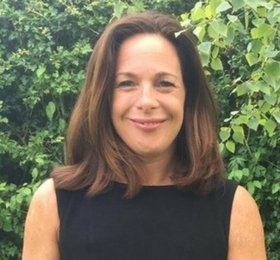 As well as supporting Greenfingers initiatives herself, through her network of contacts, Vicky spreads the word for the charity persuading GIMA member companies to get involved wherever possible. Michael has been involved with gardening and plants since he was just five years old. 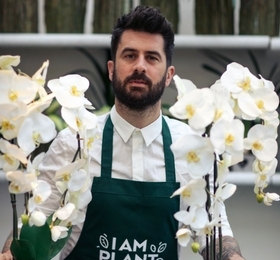 He is a self-professed Plant Geek, and was listed in the Sunday Times top 20 most influential people in the gardening world, thanks to his plant hunter role at Thompson & Morgan. Michael was responsible for new plant introductions such as the Egg and Chips plant and the FuchsiaBerry and keeps busy travelling the world in search of new plants as well as lecturing worldwide, including stints in Japan. He regularly appears on ITV's This Morning and also presents on HSN in the USA. He is very active on social media and has raised over £25,000 for charity in just a few years. Richard has over 20 years industry experience and has been Sales Director at Kelkay, a leading supplier of landscaping products for over 10 years. 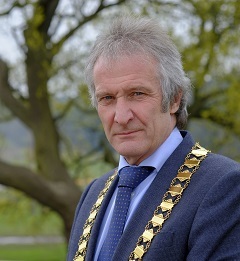 He is also the current GIMA president and a board member of the HTA. Simon is a chartered surveyor specialising in providing property advice to the garden centre, horticultural and farm shop industries throughout the United Kingdom, having set up Quinton Edwards 28 years ago. Simon also set up the Q Garden Company and ran four garden centres as Managing Director for a period of time. His biggest notable achievement was advising Terrafirma in their acquisition of Wyevale in 2012. A family man, Simon is married with five children and in November last year undertook a three week trek to Kangchenjunga base camp, the third highest mountain in the world. 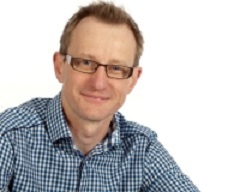 Chris Ramsden works as National Account Manager Hozelock . He has been within the Industry for over 25 years and is active supporter of Greenfingers, undertaking a number of activities for the cause! Martin has worked at HTA for 12 years progressing through the organisation from Northern Regional Business Manager to Director of Operations. His remit now encompasses the majority of member-facing activities including overall responsibility for HTAs Gifting schemes, promotions, market information, conferences and events, PR and commercial activity – a job that he thoroughly enjoys with all the challenges it brings. Martin lives in Macclesfield, Cheshire with his wife Jane, 3 dogs and 2 cats, has three grown-up children and is a fully hands-on grandad to one year old Toby. At the weekends Martin has a passion for gardening and great garden design and loves pitching himself against the elements hiking in the spectacular Peak District National Park. 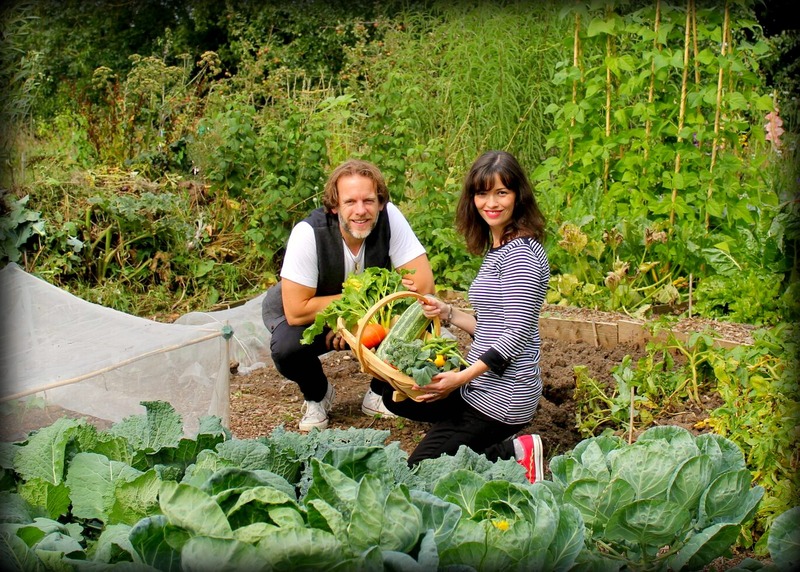 Sophie and Ade Sellars, otherwise known as Agents of Field, burst onto the garden media scene in 2014 after starting a blog about the urban allotment they took over on the outskirts of London. It quickly garnered a loyal following of gardeners and foodies worldwide and in 2016, they won Blog of the Year at the Garden Media Awards. In 2017 they were recommended in The Sunday Times and Gardeners’ World magazine and they have written for publications including The Simple Things and The Garden magazines. They produced the comical 12 Days of Christmas – Greenfingers Style Christmas video campaign to raise awareness for Greenfingers in 2017. Mark started in the gardening industry in 1987 with Stewart Plastics and has since worked for Sinclair's, Solus, Town and Country and currently he is National Sales Manager at Vitax. His first involvement with Greenfingers was whilst at Town and Country, when they sponsored a Greenfingers video. Over the last few years he has helped out on the Charity Walk on Garden Re-Leaf Day, as well as helping to raise funds for Greenfingers in his role as GIMA councillor at their annual events.